The other day, Natalie and I encountered a very stressed, very busy bee in our kitchen. It was 10pm and this bee had entered our kitchen at speed and buzzed around the light for a long time. Now, we currently don’t have a door on our kitchen entrance and so it was important that we got rid of this bee, or he could have been a lodger for the night. No thank you. I must admit to having a bee-phobia. I know that’s not very masculine and one should frankly ‘get over it’, but I can’t help but go into a little panic when I’m within an arms length of a wasp or bee. They are very intimidating with that buzz! Now this wasn’t just any bee. This was an angry bee. Furious in fact. If he wanted to, he could have made holes in the wall, thrown dishes around the room and he was quite capable of giving my face a little slap. But bee’s don’t do it that way. So instead, he used the power of the buzz and threatened to sting instead of slap. Whilst this bee was throwing a paddy, Natalie and I were trying to figure out the best way to get rid of it. That didn’t work and so we progressed to the next level. Throwing tea towels at it, poking it with brush and commanding it to leave with the threat of being drowned in golden Syrup!!! That didn’t work either, so at 11.00pm, yes an hour later, we decided that the only way forward was to put it out of it’s misery. No golden syrup was used. We made a move towards the bee and proceeded with a quick disposal involving a wooden spoon. Felt very guilty afterwards but that bee was STRESSED and ready to fight anyone who got in it’s way. 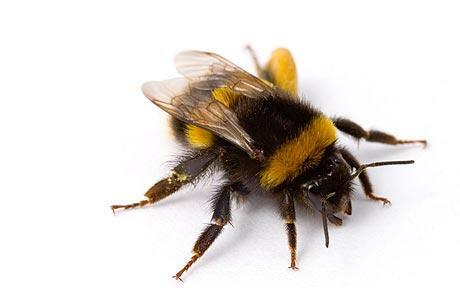 Many people treat God in the same way we treated this bee. They see him at work, they see his creation, they hear about him, but their first reaction is to push him out. People make all sorts of statements such as ‘God’s not interested in me’, ‘I’m not good enough or religious enough’, ‘I don’t know enough’. In fact people even tried to kill him. God became one of us through his son Jesus Christ who was crucified on a cross, but he rose again. Death had no power over him. You see, God never came to harm us or hurt us. He came to give us life. He came to enjoy the adventure of life with us. I wonder, what is your response to God? What’s your response to him who died on the cross for you? In the bible, God says, ‘I stand at the door and knock’ – God isn’t going to force his way through. Is your reaction to ignore the knock and keep the door closed. Or will you open the door and let him into your life? I opened that door years ago and have never regretted it. I encourage you to do the same. This entry was posted in Exploring Faith and tagged accept him, bee, bees, christian, christianity, death, faith, God, harm, hurt, i stand at the door and knock, Jesus, knock at the door, Life, life in all its fullness, life in it's fullness, life to the full, light, religion, scared, spirit, spirituality, spoon, syrup, the cross, wasp. Bookmark the permalink.